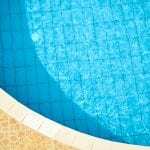 At Cayman Pool & Spa, we have over a decade of experience providing swimming pool services, products and supplies in Mooresville and Concord. Welcome to Cayman Pool and Spa where 100% customer satisfaction is our number one goal! Since 2006, we have been providing high-quality services to our customers in Mooresville, Denver, Statesville, Troutman, Sherrill’s Ford, Concord, Harrisburg, and Kannapolis, North Carolina. With our professional swimming pool and spa services, supplies, maintenance, and repairs, you will always have an enjoyable place to relax and spend time with your family, friends and neighbors. Our staff is knowledgeable in all aspects of the pool and spa business and is ready to help you with all your needs. At Cayman Pool & Spa, we offer sales, repairs, service, weekly residential pool service, supplies, parts and accessories, opening and closing of pools, installation of safety covers, winter covers, hot tub and spa repair, vinyl liner replacement and repair, and leak detection services, to name a few. That means you can rely on us no matter how big or small your swimming pool, hot tub, and spa needs may be. When you stop by one of our two convenient locations in Mooresville or Concord, North Carolina, you will see why we are “The Clear Choice” for all your pool and spa needs. Contact us or stop by today!